Placing content inside Facebook will allow people to access it faster, sources familiar with the plan told the Times. When people click on a link to news article in Facebook now, a separate browser window opens and they’re taken to the publisher’s website. Although the process happens in seconds, Facebook thinks it is too long, especially on mobile devices. The Times’ report didn’t offer many details on how the content would be displayed, although a format incorporating the articles could be tested in the coming months. The New York Times, BuzzFeed and National Geographic are expected to be the initial launch partners. Other news outlets Facebook approached include The Huffington Post and Quartz, an economic and business news website. Facebook’s plan would remove the ads that publishers traditionally place around content. Clicking on an article in Facebook now launches Web tracking tools that allow publishers to gather information on the people accessing their content. Since people would read the article on Facebook, the social media site would then get this data. Facebook is aware of these issues and is trying to make the plan more appealing to news outlets. 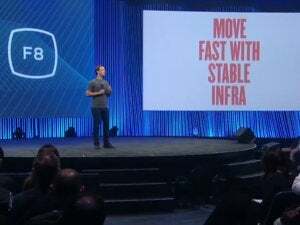 It is working on a possible revenue-sharing model that would allow publishers to show a single ad in each article in Facebook. Information on whether Facebook would share user data wasn’t mentioned. Representatives of Facebook, The New York Times, National Geographic and BuzzFeed didn’t immediately reply to a request for comment.